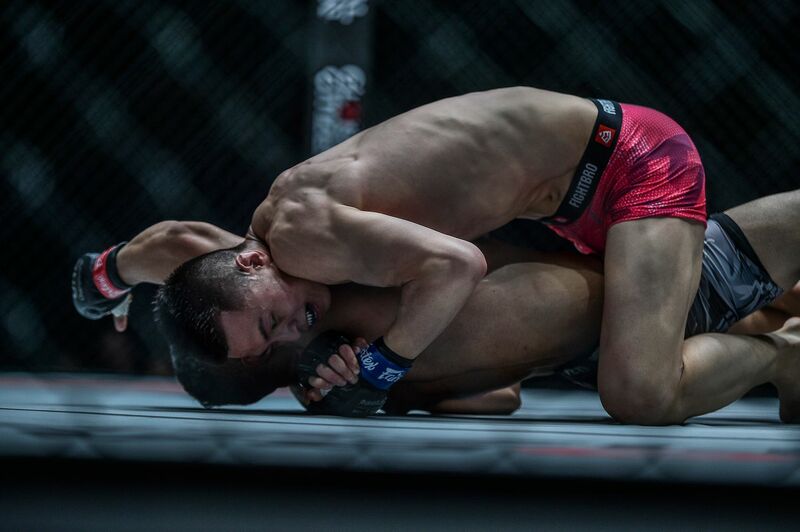 Chinese grappler “The Stalker” Xie Bin completed a hat-trick of D’Arce choke victories as he defeated Ahmad “Lycan” Qais Jasoor at ONE: ROOTS OF HONOR. The 21-year-old from China had to overcome a spirited challenge from his Afghan opponent in Manila, Philippines, but he eventually sealed the win in the second round. Chinese phenom Xie Bin picks up his SIXTH straight win with a signature DArce choke at 2:27 of Round 2! 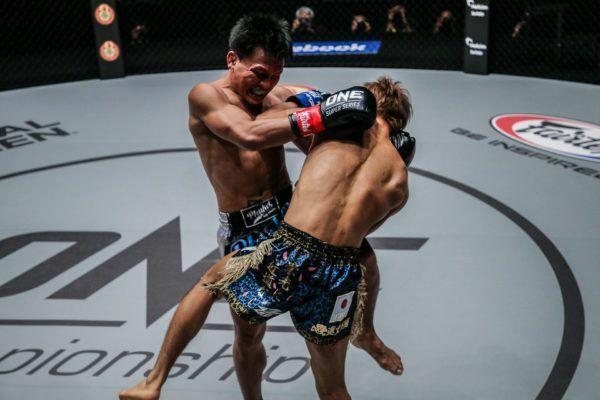 Jasoor charged out of his corner at the start of round one on Friday, 12 April at the Mall of Asia Arena, but it was “The Stalker” who launched the first significant offense of the match-up as he shot in for back-to-back takedown attempts. 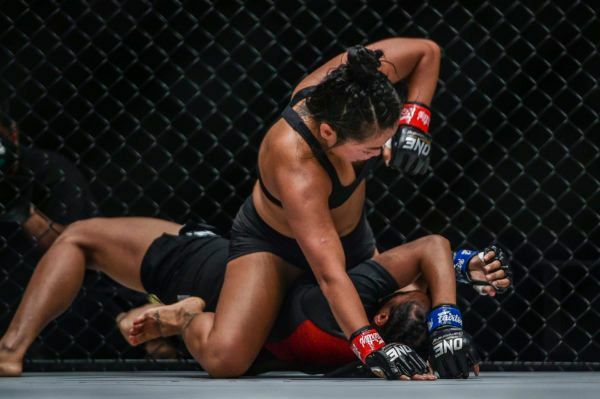 The majority of the round was then spent on the canvas, as the two athletes scrambled back and forth in search of a submission. 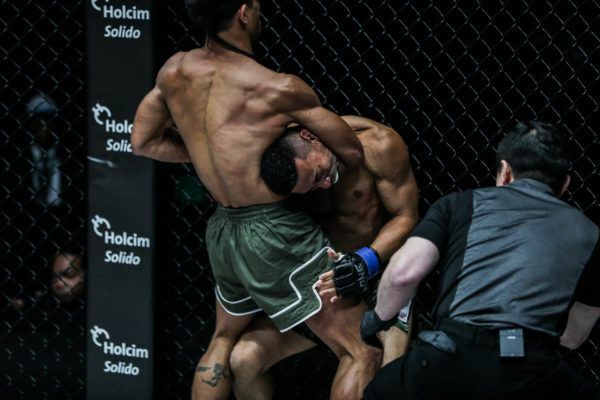 After Jasoor took the back, both men engaged in a battle for heel hooks, before Xie started to chase his signature D’Arce choke. He had the hold locked up for an entire minute, but he could not get it quite tight enough to force his rival to tap before the round came to a close. After coming so near to getting a finish in the first round, “The Stalker” went right back on the offensive in the second stanza. The Tianjin Top team representative threatened with an arm-triangle choke, but “Lycan” remained stubborn in his resistance. 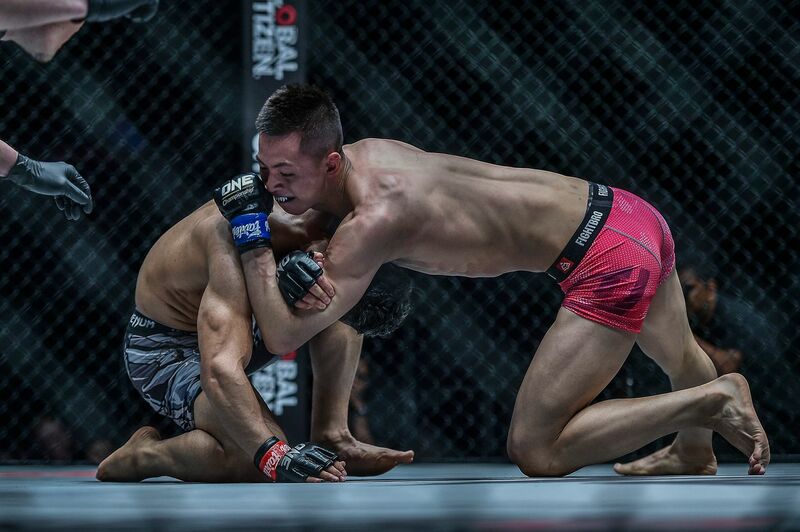 The Afghan then tried a guillotine when he was put on his back, but his attack was quickly stifled, and then Xie returned to his go-to submission move. This time, he cut an angle on Jasoor and tightened his grip to hit the jackpot and force the tap at the 2:27 mark of round two. Xie’s victory improved his record to 7-2 and extended his winning streak in The Home Of Martial Arts to six consecutive bouts. Furthermore, his last five wins have come by stoppage, including three straight with his D’Arce choke. After the match, the Chinese rising star teased a move up in weight to featherweight, and he is sure to draw an exciting contender in that division thanks to his impressive bantamweight run.